The allegations come as the Trump administration is moving ahead with plans to build at least 33 miles of wall or other barriers in the Rio Grande Valley. More than three dozen environmental, faith-based and immigrant rights groups are urging the federal government to extend the public-comment period for construction of the border wall, arguing that the U.S. Department of Homeland Security isn’t acting in good faith. "[Custom and Border Patrol's] 30-day comment period, without even a single public meeting, strongly suggests a lack of sincere interest in obtaining thoughtful comments and broad engagement with the diverse constituencies affected by border barrier construction," the coalition of organizations wrote in a letter dated Monday to Homeland Security Secretary Kirstjen Nielsen, Customs and Border Protection Commissioner Kevin McAleenan and other federal officials. "Additionally, because many community members in the project area speak primarily Spanish, we ask that CBP send out invitations to comment on this project in Spanish." The government is also side-stepping regulations mandated by the National Environmental Policy Act and only reaching out to certain stakeholders, according to Laiken Jordahl, the Center for Biological Diversity’s border campaign leader. “Not all the groups that signed on to our letter received that invitation to comment and that’s something we’re really concerned about. They specifically chose who they wanted to send it to,” he said. Jordahl added that it’s unclear when the comment period began or ends. He said his center received a letter from federal officials on July 10 that stated it had 30 days to respond. But the letter wasn't dated. “There is some confusion as to when the deadline actually is. And I know different people received letters on different dates,” he said. Other groups that signed onto the letter include the ACLU Border Rights Center, La Unión del Pueblo Entero, the Sierra Club and the Hidalgo County Wildlands Network. The groups are asking that the comment period extend to 90 days and that more stakeholders be notified of what the government is proposing. They also argue that federal officials aren’t following current guidelines for constructing in environmentally sensitive or protected areas. 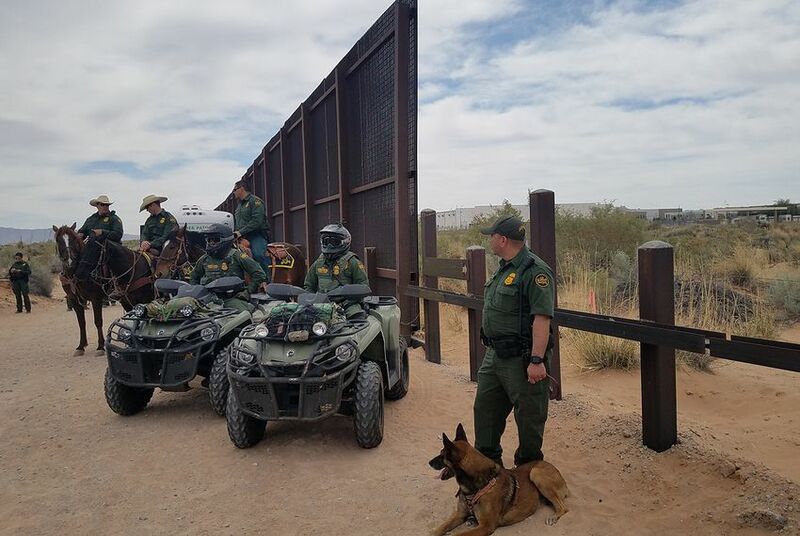 Jordahl noted that the DHS hasn’t yet waived environmental reviews and other laws for the Texas portion of the wall’s construction, as it has already done in California and New Mexico. But he said maybe that’s what’s coming later if federal officials stay on their current course.